I had 2 hard boiled eggs this morning thanks to Hukatere Lodge. I left about 8 and started walking south. Each day the wind picks up just about when I am done walking for the day. Some of the others have come in covered in sand. Ugh. One of the more interesting things I saw today. These people are collecting clams. 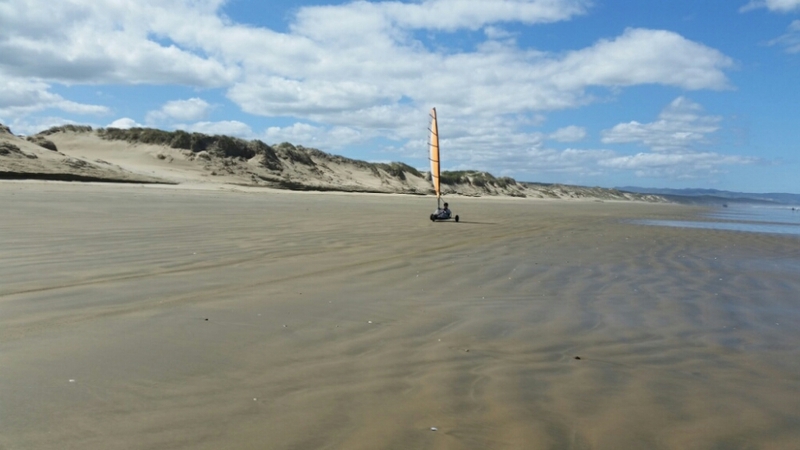 The end of 90 Mile Beach and the town of Ahipara. 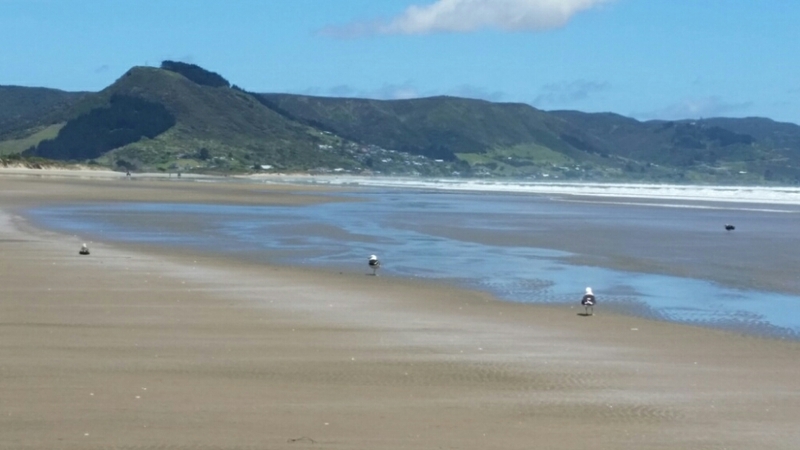 The 90 Mile Beach finally ended and I am now in the town of Ahipara. The YHA hostel is great. I’m sharing a cabin with Judith, another TA hiker. There are lots of hikers here. Brett (Canada), Jackson (Sonora, California), Garret (NZ), Alex (Australia) and Helen (UK). Chaos (Nathan now that he gave up his trail name) took a zero today so he is still here. I just ate an egg burger. Hamburger bun plus egg, cheese, tomato, lettuce and raw beet. Different and good. My body kind of wants a zero but the weather forecast is perfect. Good weather is really important for the next few days so I will walk and my body can rest later. 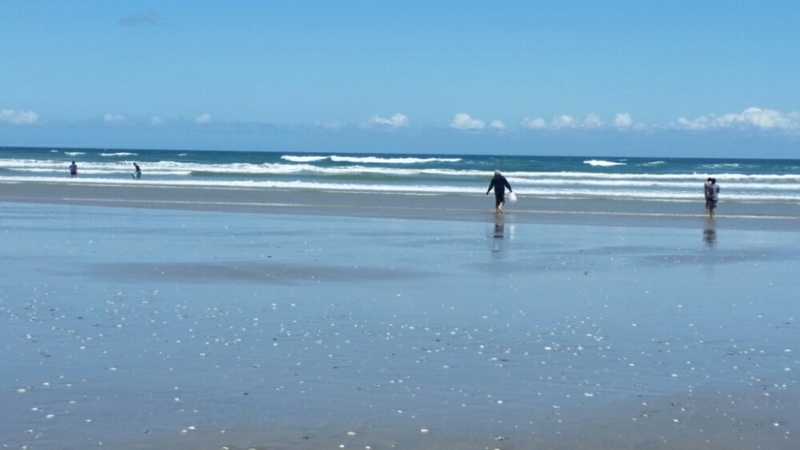 So for water on 90 Mile beach starting with 2 liters each day was enough for how far I walked and the mild temperatures I was fortunate enough to get. There was water at each place I stayed. I bet those clams would be tastey if steamed. Yes. I’m hoping to get to taste some.